Book your chosen day and time soon as we do fill up! 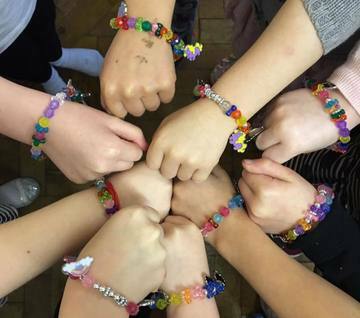 We are well known for organising popular, craft and jewellery making parties for boys and girls offering a huge choice of crafts to suit everyone. 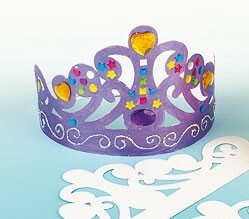 We can theme parties from princess to pirate from bracelets to boating. 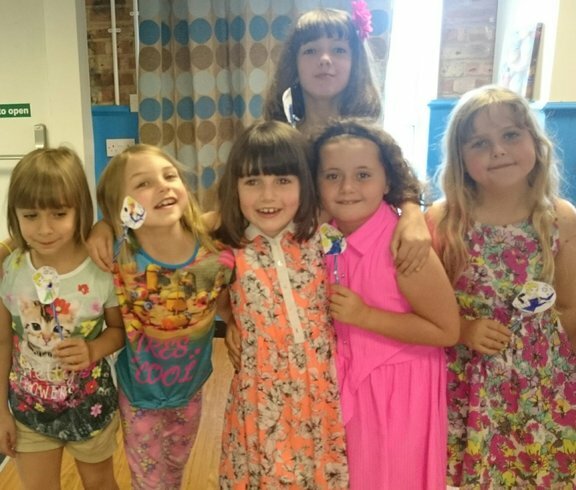 Just drop us an email or give us a call and we can chat through ideas, making sure your child has the best arts and craft party ever. Don’t forget it doesn’t have to be for a birthday. We can organise a special get together or afternoon of crafting for friends. A great activity to make new friends at school. 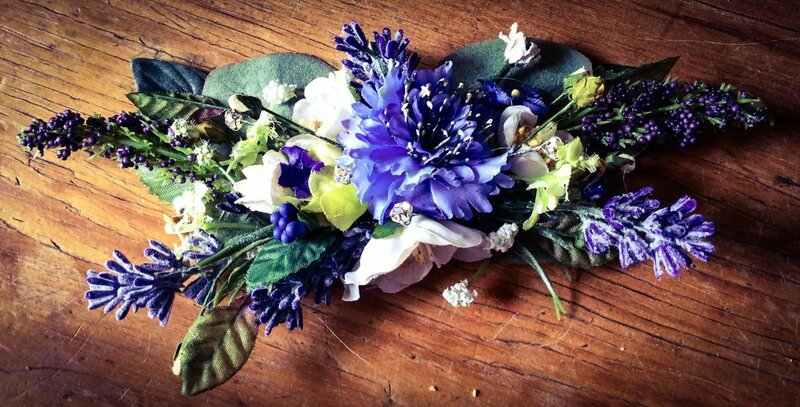 Or to design your prom jewellery. 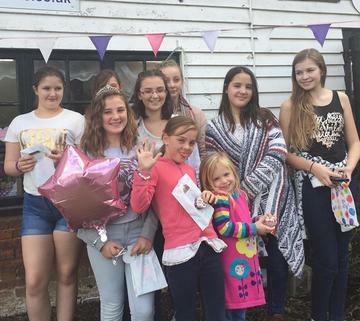 Your party can be run at BellaCrafts or we can travel to you, either at home or to a chosen venue where we can arrange longer parties including disco’s, fancy dress costume making, prizes, games, decorations, catering and more. Ask about our Mid-Week Saver Monday-Thursday from 3:30pm. Term times and not bank holidays! Choose to hold your party onsite at BellaCrafts or in a venue of your choice. We love hosting parties and can do anywhere! We've run in gardens, halls and homes. 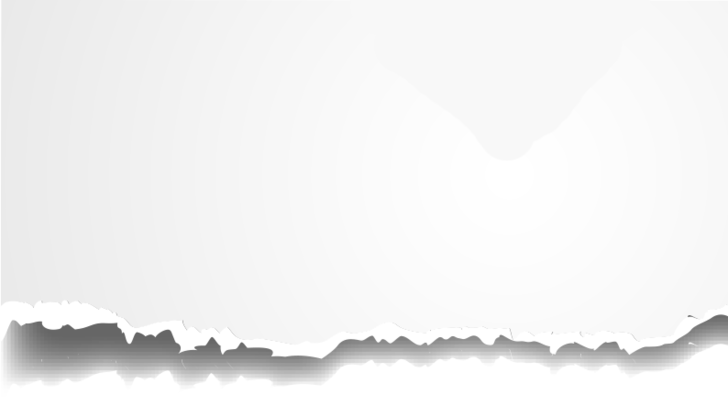 We can even run a party without paints to make sure your venue stays clean! There's a small admin fee per booking to cover extra prepartion and travel time and a simple fee of 0.45p per mile. 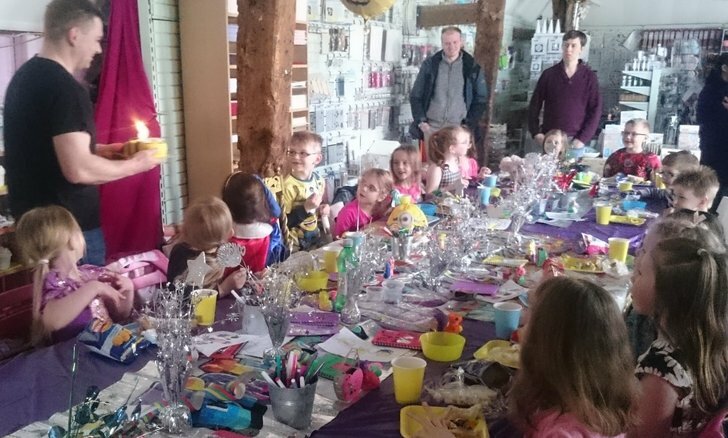 From £12.95 for an hour of craft fun and activity! A party bag for every guest including your child! 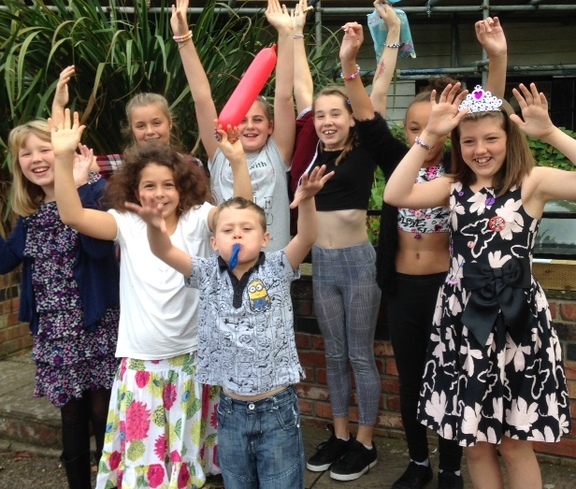 Download our Party Booklet here! • Wand, Crown, mobile. Sword, Treasure box, Paper plate craft – fish, boat port hole, animals etc. What are the minimum and maximum numbers? Our minimum is 8 and we can provide for up to 30 in our centre. An approximate number of guests will be needed upon booking and we will be in touch with you to confirm your final numbers nearer the time. 7 days ntoice is required for final numers. Yes, you can pop into our centre any time and pick up your invites. A birthday cake, candles and napkins for the cake. Apart from this we provide everything else, so you can kick back, relax and enjoy the party! 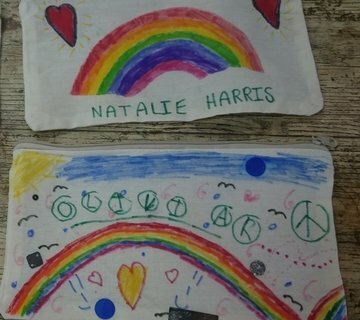 Children can come in their normal party clothes, we have have painty / artist t-shirts they can slip on, plus plenty of wipes to get them all clean again before they go. Do we need to get there before the start time? Your party table will be set up and ready for when you arrive and we have plenty of colouring pictures to keep everyone entertained so no need to get there until your party begins... you could even be fashionably late! We've got you covered! We can provide party bags at £1.75 a head. These include a packet of sweets, a couple of little gifts (such as pens, hairbands, novelty rubbers etc), a balloon and a flier packed with handy info for parents. Do parents have to stay with the children? Children can be left with us, providing the party parent has contact details. Parents are free to wonder round the garden centre or pop up to cafe. For younger children, a larger table can be provided for parents to stay at £1.50 a head, including tea or coffee. We require a £50 deposit upon booking to secure your chosen date and time. This deposit is non-refundable, however it can be transferred to an alternative date should the need arise, providing you notify BellaCrafts at a minimum of three weeks prior to the event. The final balance is due on the day of the party. Please note that you will be charged for the number of children you confirm with us as we would have prepared their place and food! Please let us know of any changes as soon as you can. 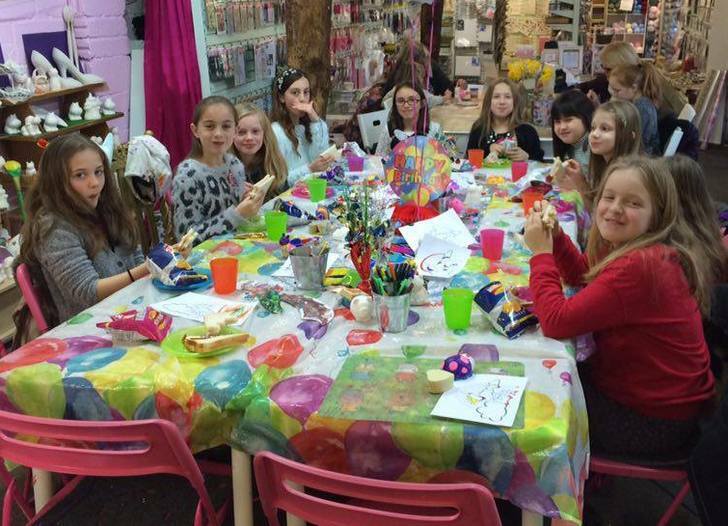 "My daughter had her party at Bella Crafts today and I was so impressed with how well the party went, Belinda was the perfect host to all the children and they absolutely loved all the crafts that were put on for them. I can't rate this venue enough and I would definitely recommend it to all my friends and family. 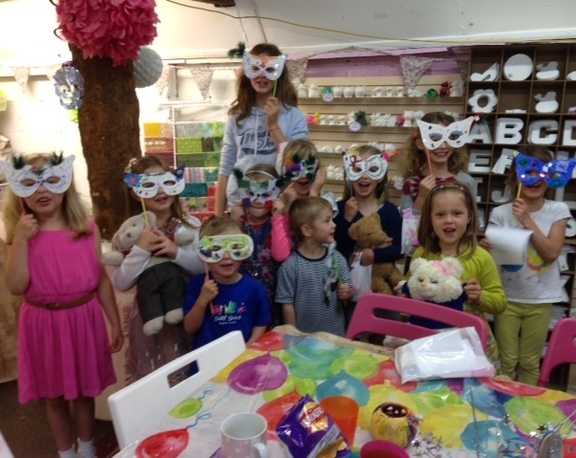 Thank you Bella Crafts and Belinda for making my daughters party extra special today. 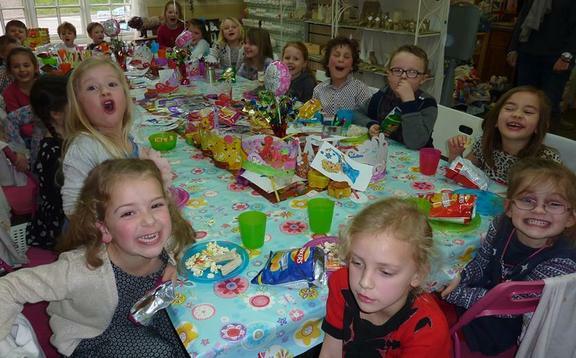 "Fabulous party today for a bunch of 4 year olds. My daughter and her friends absolutely loved it. 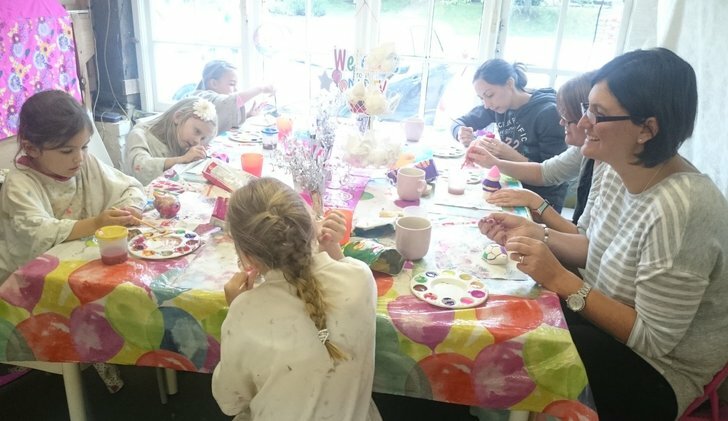 Victoria and the team looked after both the adults and the children exceptionally well with fantastic crafts, teas and coffee's! Would definitely recommend!